Tons can go wrong with a rental unit, but a landlord with the knowledge and tools to handle basic repair tasks can save lots of money. Some home improvement skill is crucial for being the best landlord you can be. Certain home improvement tasks require professional certification or specialized skills. However, that still leaves various home improvement tasks you can do yourself. Faucet leaks waste water and stain sinks and tubs. The thing is, they’re usually easy to fix. In most cases, it’s simply a matter of disassembling the faucet and replacing a worn gasket or washer. For this simple job, expect to pay a plumber at least $125 for a service call. You will only need to complete this task once or twice, before feeling like an expert. Toilet and drain clogs have a way of happening at inconvenient times. What if a plumber isn’t available? To avoid leaving your tenants in the lurch, learn how to snake a drain, disassemble a P-trap, and properly plunge a toilet. Don’t forget to shut off the water! Plumbing leaks can cause major problems. Know the locations of the water shut-offs so you can turn off the water to prevent further damage until a professional plumber can step in. Dimming or flickering lights and short circuits are systemic problems that require professional attention. However, when a switch or outlet doesn’t work properly, you can often restore power to that device by tightening a loose connection or replacing the device. In total, this is only about a 20-minute job. Just make sure to turn off the breaker controlling the circuit before you remove the outlet or switch cover. Problems with refrigerators, washing machines, and other major appliances often boil down to a simple cause. For example, a blown fuse, broken drive belt, or internal obstruction. While there’s no formula that works for every situation, many appliance repairs are easier than expected. Learn how to do some basic troubleshooting and you’ll save the cost of the repair as well as that of the service call. If you don’t have the user’s manual, chances are good that you’ll find an online tutorial video to guide you through the process. The most difficult part of appliance repair is often moving the machine into a position that allows you to access the damaged component. When a heating or cooling system breaks down, there is usually no alternative but to call a licensed repair pro. However, you can perform a number of maintenance tasks yourself to help prevent breakdowns and avoid expensive furnace repair bills. 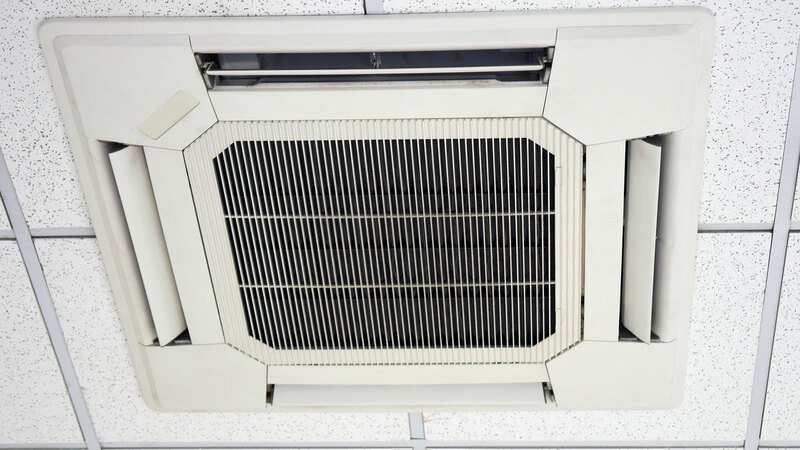 They include changing filters regularly, cleaning refrigeration coils, and lubricating fan motors. If you have a gas furnace, you should familiarize yourself with the procedure for changing a faulty thermocouple or heat sensor. This is often the reason why the pilot light goes off. Insects and rodents thrive in unsanitary conditions. Tenants share responsibility for keeping them at bay, but it’s ultimately the landlord’s responsibility to eradicate them. Pest control takes research and the right materials. You might not be able to get rid of an ant infestation, for example, until you find out what kind of ants they are so you can use the right bait. Developing a knack for pest control can save you hundreds of dollars. You would have to spend tons for professional extermination and the monthly fees for upkeep. If you discover termites at your rental property, don’t try to exterminate them yourself. Termite control is a multi-step procedure that is best left to pros. Don’t fret about bedbugs though, you can handle those yourself. A major roof leak is usually a job for a roofer. Although, a handy landlord who isn’t afraid of heights can often fix minor leaks. Simple roofing tar and caulk can help you save significantly. The average cost to repair a leak on a shingle roof is between $500 and $700, and on slate roofs, it can run up into the thousands. Gutter repairs often involve just cleaning out debris, adjusting the hangers, and sealing joints with caulk. Preventing leaks by cleaning the gutters at least once a year should be one of the repair tasks you complete as part of routine maintenance. It’s often possible to repair damage in drywall with patching compound or joint compound. However, replacement is the only option for water damage or mold. Either way, you’ll save at least $300 per repair by being able to do this work yourself. Drywall repair is messy, but it’s straightforward. When you have to get a property ready for new renters, you’ll be glad you know how to do it. Each rental property you own provides an opportunity to hone your painting skills and increase your home’s value. A property with a high turnover rate will give you lots of opportunities. Painting isn’t rocket science, but it isn’t trivial work either. It actually takes time to develop an efficient routine. The sooner you do, the sooner you’ll save the $300 or $400 per room that professional painters charge. Before undertaking a home improvement task, consider what your time is worth and how that compares to the going rate for the job. You may choose to hire a pro if one is available and it’s more cost-effective to do so. The key to home improvement is to make it as easy on yourself as possible. It is understandable if you aren’t interested in doing maintenance and repair work yourself. However, you’ll need an extensive contact list of home repair pros. Handling property maintenance can be an exhausting process. If you prefer to have someone there to manage anything that arises, consider Blueground. Our team of interior designers will transform your home into a money-making rental property. In addition, our maintenance staff manages any home improvement issues. As a leading property management company, we take care of every part of the rental process for you.